If you have blogged for a while and with to experiment with some new "stuff" why not try Blogger in Draft. Just log into blogger with http://draft.blogger.com to see it. This is where the smart people who work on the blogger software experiment and have fun. For more info go to the Blogger in Draft info page. Here is another public presentation on Web 2 from a poster at Slikeboom named Anarchyandy. No, I don't pal around with anarchists but it is a great presentation! “Managing Digital Photos / Slide- Shows“ – learn how to organize your pictures with Louis Loeffler Web 2.0 applications allow you to share, edit and create pictures. This workshop will discuss photo sharing with Flickr, Image Editors as well as Visual Literacy and 21st Century Skills. 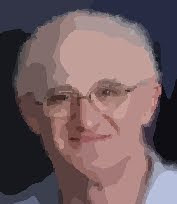 “What is all this Web 2 Fuss?” with John Sklar Is Web 2.0 something educator’s should look at? Anyone can BLOG right now. We will create a blog and update a new MECA Blog. 10:05-10:35—Gathering and discussion. Please join us for a general Q & A about MECA and Web 2.0. “Internet and Technology Projects That Support Differentiated Instruction." with Lisa Gokey Are you wondering what you can do to incorporate technology into your differentiated classroom? We'll discover Internet resources that offer independent, self-guided learning for students of all abilities and learning styles. “Wikis and Other Web 2.0 Delights” with Jim Kasum Web 2.0 is all about collaboration and sharing. Wikis and other tools are simple to use and, in many cases, free to use. Come and see how to build and use a wiki along with, time permitting, other tools for conferencing, meeting and collaboration. Use the button on the left to access the files for the last 2 classes. If you have any problem getting the files please contact me ASAP.